In this course the student will be given the insight into what it takes to develop truly World Class shooting skills. 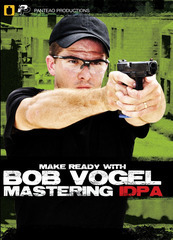 Starting out with the fundamentals and then delving into a heavy dose of technique that goes well beyond the basics, the student will learn the dynamics involved in driving a pistol to the highest level. This course is designed around the ultimate and equal balance of accuracy and speed that is applicable just as much to LE/Military training as it is to competition. Aside from the techniques and skills taught this course also has aspects that require the student to truly “think” while operating on a course of fire. A balance between competitive shooting and tactical applications will be maintained. That being said, performing under pressure is paramount. Outside of actual real life situations competition is one of the few ways pressure can truly be induced. 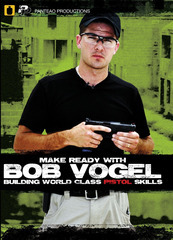 If you carry or use a handgun in any way, shape or form you will benefit from this course.